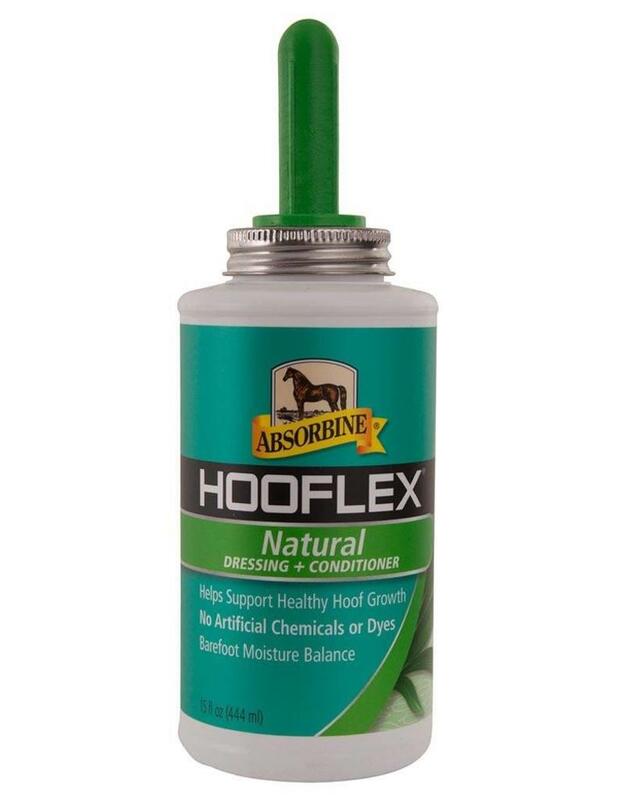 Hooflex All Natural Dressing uses herbal ingredients to stimulate circulation and improve hoof growth. It's the first all-natural alternative made with ingredients known to help promote shiny, healthy hooves. It contains no petroleum distillates - only all-natural vegetable oils. It penetrates fast with no greasy residue. Use it to enhance the natural hoof colour without artificial chemicals or dyes. The applicator brush makes it fast and easy to apply, with a shine that lasts 2 to 3 days.